Most wouldn’t argue that getting paid to drive cars is a dream job, but Google is putting a new spin on that concept in its car division. The company put out a job listing looking to hire people to sit behind the wheel of its self-driving vehicles and, well, not drive—unless absolutely necessary. The job title is a “vehicle-safety specialist” and pays $20 per hour to work in pairs with another specialist inside of the cars. Testing occurs in the Phoenix suburb of Chandler, Arizona, and the requirements on the job listing include a Bachelor’s degree, no criminal history, a clear driving record and the ability to type at least 40 words per minute. According to Digital Trends, one specialist will sit behind the wheel of the car in order to take over if necessary—which is probably a good thing, considering a Google car brushed up against a bus recently—while the “passenger” specialist will submit reports from a laptop as it tracks the testing. 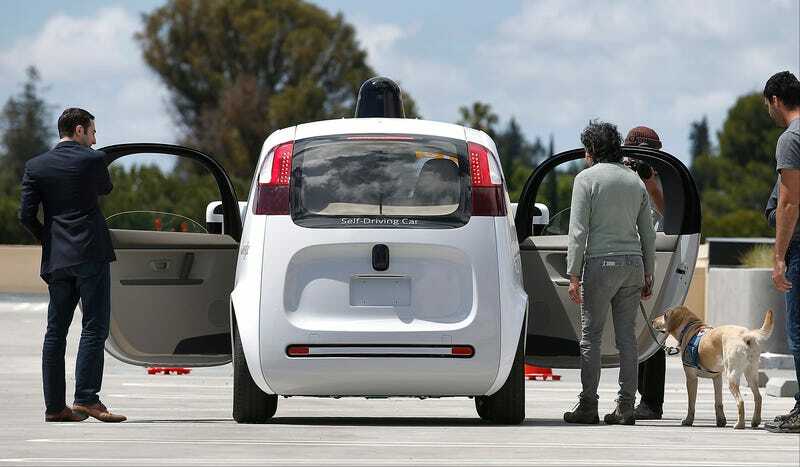 The passenger will focus on software systems and relay feedback to Google engineers. The job is five days per week for six to eight hours each day, and Digital Trends reports that contracts range from 12 to 24 months. It’s not the most permanent job in the world, but hey, getting paid to drive cars—well, technically— isn’t such a bad thing.